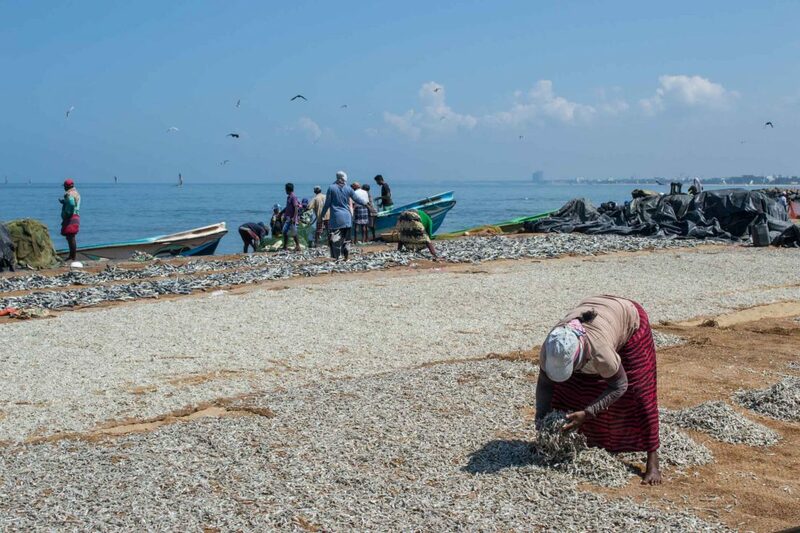 Negombo Sri Lanka – Negombo is a coastal city about 30 kilometers north of Sri Lanka’s capital Colombo. 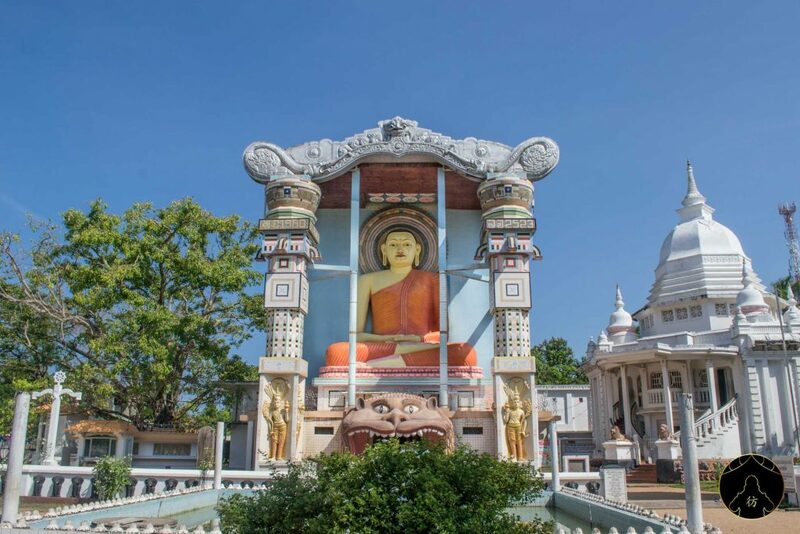 It is also conveniently located less than 10 kilometers away from the Sri Lanka Bandaranaike International Airport. 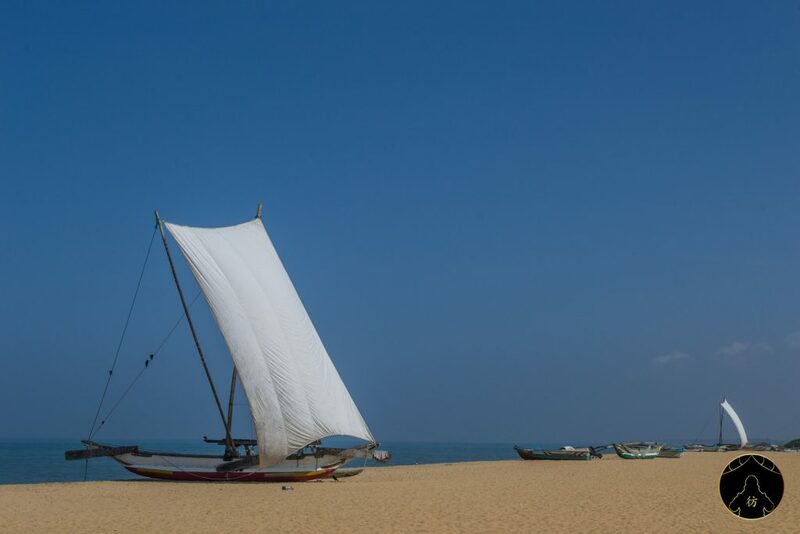 If you’re traveling to Sri Lanka, you will most probably pass by Negombo. 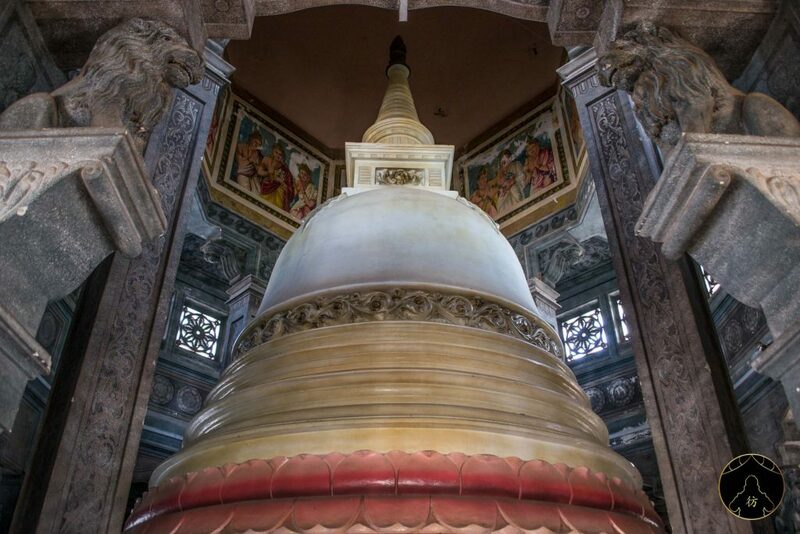 Whether you stop by and visit the city as soon as you land in Sri Lanka or as you’re leaving the country is up to you. I spent the last days of my trip to Sri Lanka in Negombo to relax after an amazing motorcycle road trip. 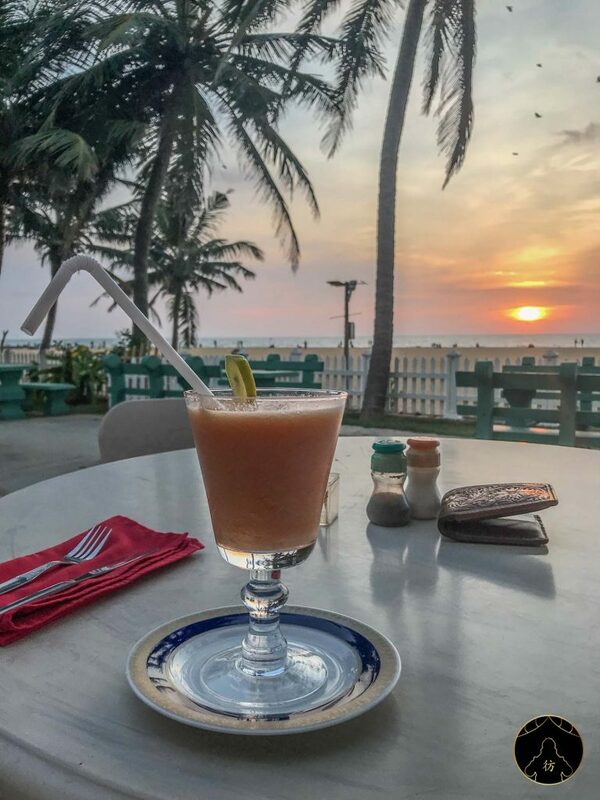 If you’re planning on renting a vehicle (whether it’s a car, a motorcycle, or a tuk-tuk) to move around the country, you should do it in Negombo. You’ll have your vehicle available as soon as you get to the city, and you can return it before you head to the airport to leave Sri Lanka. Without further ado, let’s start our tour of the city with these helpful transportation and accommodation tips. As you can see, you can go to Negombo directly from the airport. 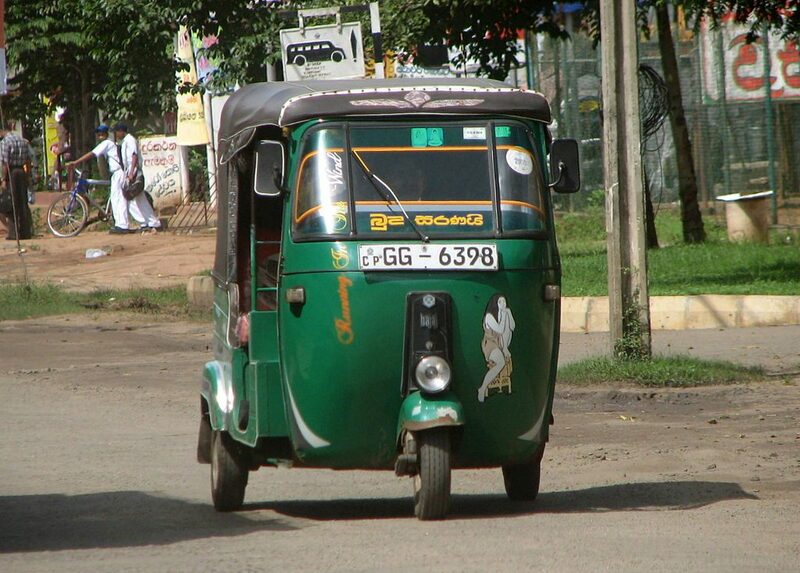 You can get there by tuk-tuk for example for about 800 rupees ($4.5). The trip lasts between 15 and 30 minutes depending on traffic jams. You can also take a taxi there for around 1500 rupees ($8.5). But if you’re looking for the cheapest option, just take bus #240. The ticket is ridiculously cheap, it’s only 50 rupees (30 cents)! Don’t expect comfort and luxury for that rate though. If you’re traveling from Colombo to Negombo, the most convenient option would be the train. 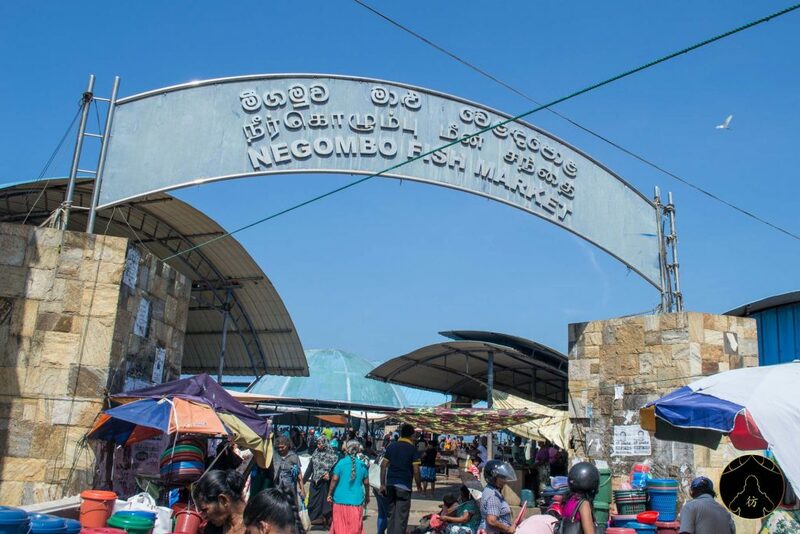 You’ll have to go to the Colombo Fort train station and then embark for an hour trip to Negombo. Again, tickets are really cheap. One-way tickets cost between 40 and 70 rupees (20 and 40 cents) depending on your ticket class. Get the best class you can find, you won’t find cheaper prices elsewhere! To check out train schedules, have a look at this handy website! It would be great to book a hotel outside of the city center and close to the beach which is a little further north. 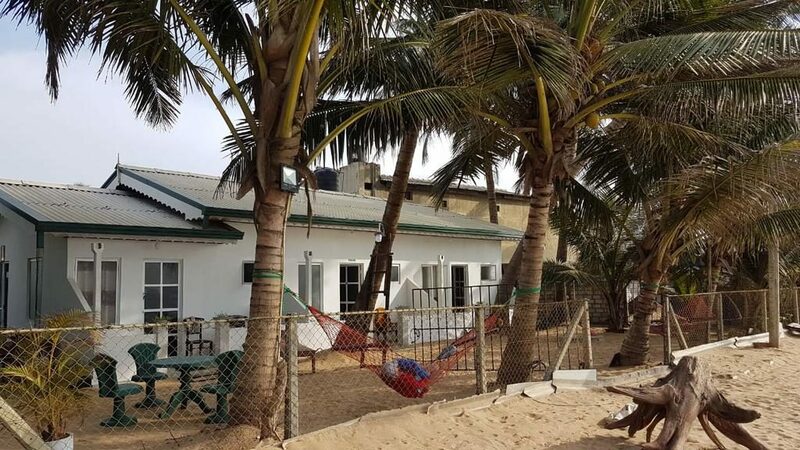 For smaller budgets, you can book at the Winston Sea Front Villa which, as its name suggests, is right in front of the beach. Prices are really affordable and you’ll simply get what you pay for. The staff is also very helpful and you will have the opportunity to meet a lot of people, locals and foreign travelers alike. 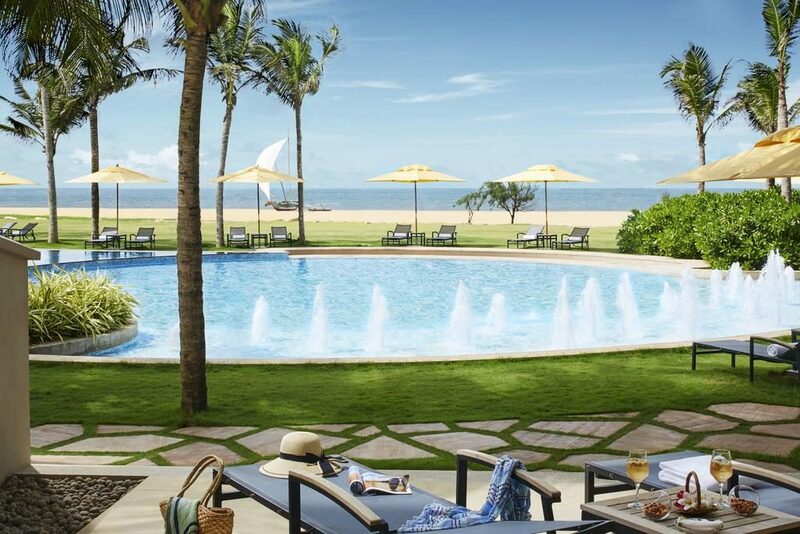 If you can afford better accommodation, try the Heritance Negombo hotel which is one of the most beautiful hotels in the region. It’s a beachfront hotel that has great swimming pools. As you can see, the setting is utterly and the price per night is not so expensive considering the quality of the hotel’s services. 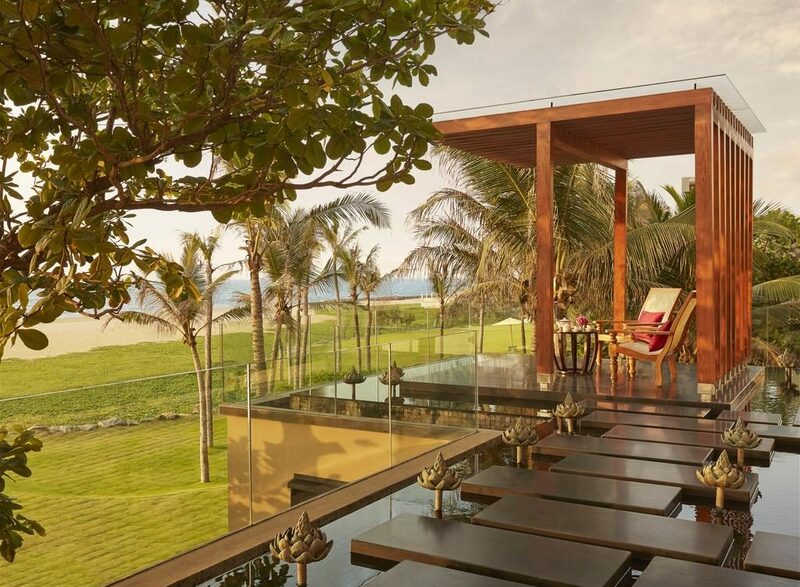 You can enjoy the Heritance‘s seven restaurants as well as its fully-equipped gym. If you’re looking for a nice restaurant in Negombo, go to this area. You can find great restaurants selling local dishes or also western food to eat while enjoying the sea view. Try to go there at sunset and enjoy the show! 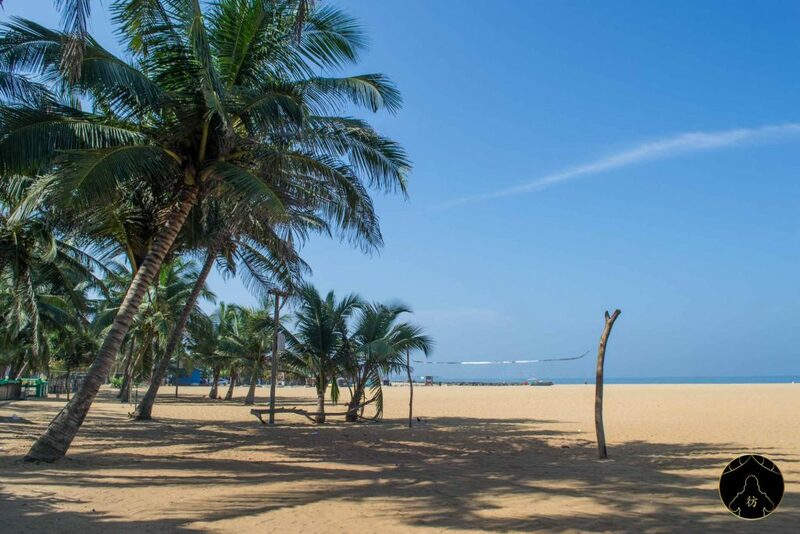 As you can see, the main attraction in Negombo is the beach and all the activities that go with it. It is not really crowded so you can sit back and enjoy the wide stretch of sand. You should also be able to spot some fishing boats around. 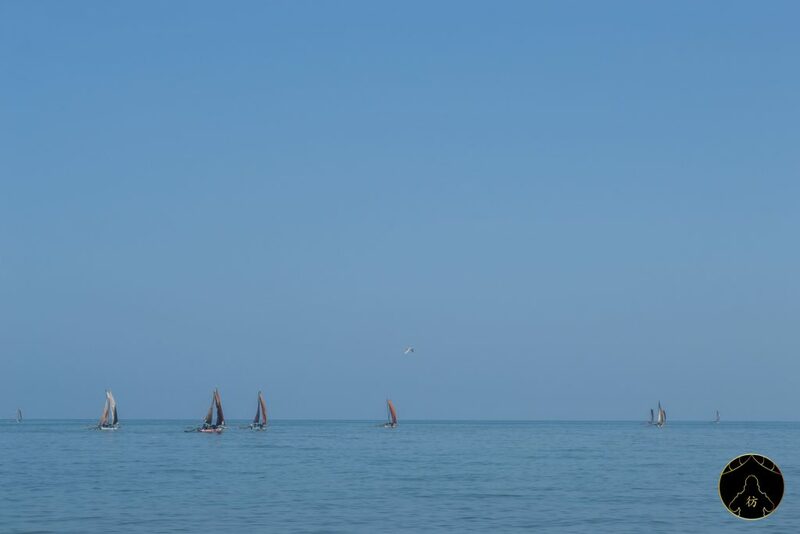 At about noon, some of them head back to the shore while fishing continues until the end of the day for others. 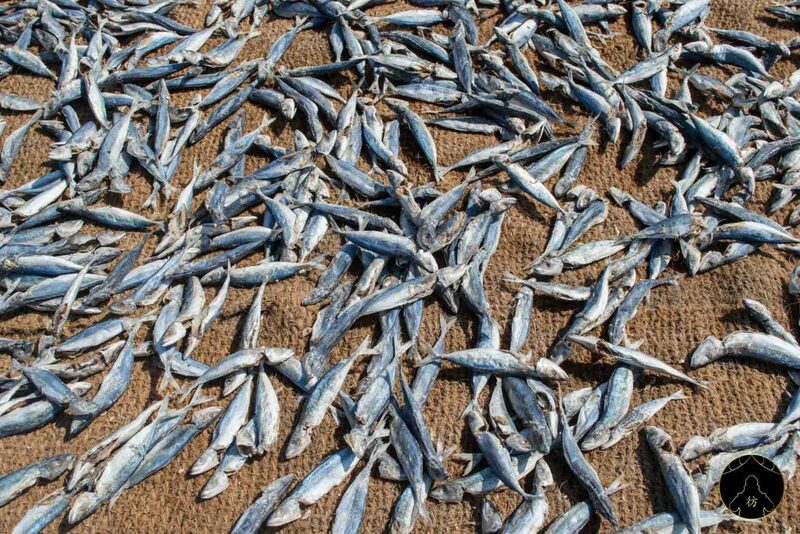 So you’ll get to see the boats disembarking on the beach, one after the other, bringing back the day’s catch. When you arrive in Sri Lanka, you will probably feel that it is really hot during the day, especially during the dry season (December to March). It’s probably better to avoid swimming at noon and don’t forget your sunscreen! 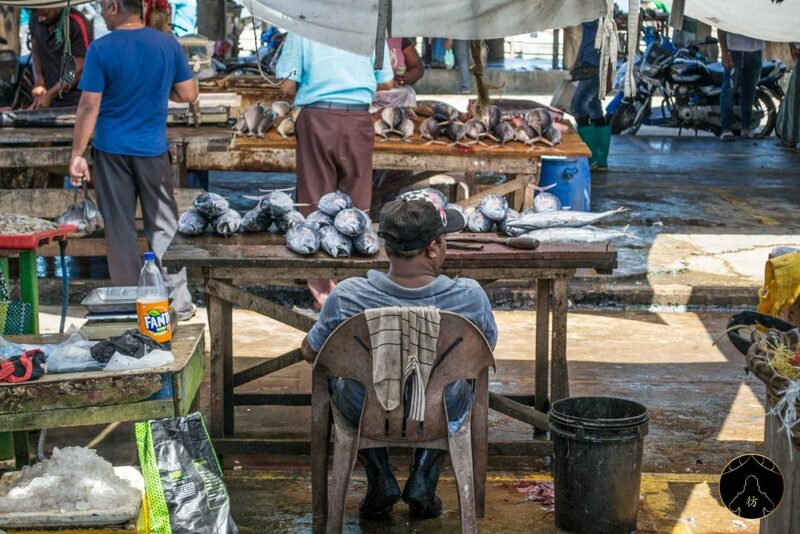 Negombo is a fishing village, so the fish market is a must-visit attraction. Try to go there as early as possible so you don’t miss out on the busy atmosphere! 6 AM would be perfect but you can also visit it later. You will first find the spice market where the famous cinnamon sticks, also called Ceylon (former name of Sri Lanka) cinnamon, are sold. Cinnamon is originally from Sri Lanka by the way! 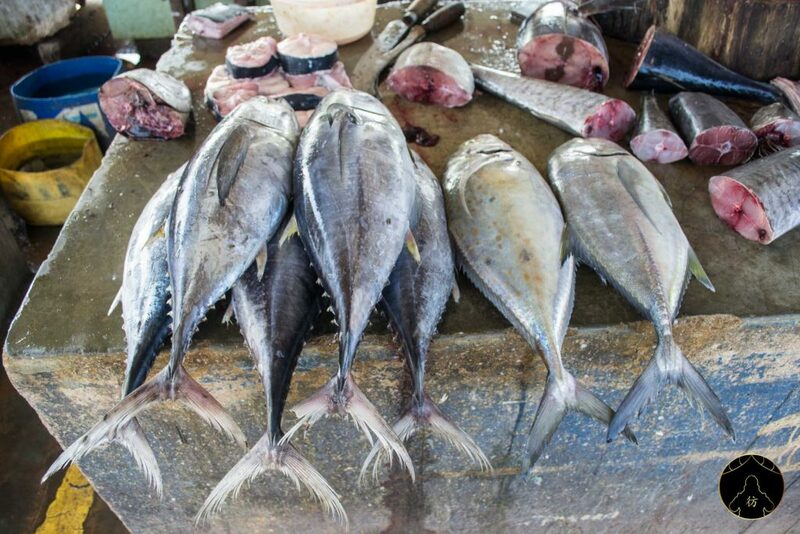 Then, you will find many stalls with fish of all kinds. Auctions are held there to buy and sell fish and even if you don’t understand much of it most of the time, the atmosphere is really nice and you’d almost want to join the game and buy some fish! If you leave the market and get to the seaside, you should be able to see the fishing boats off the coast. 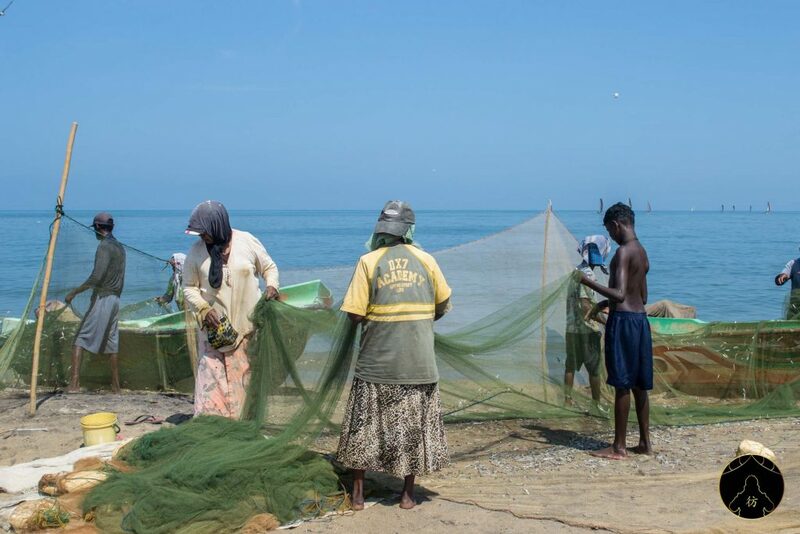 You will also see a crowd of people working on getting the fish out of the nets, on the beach. 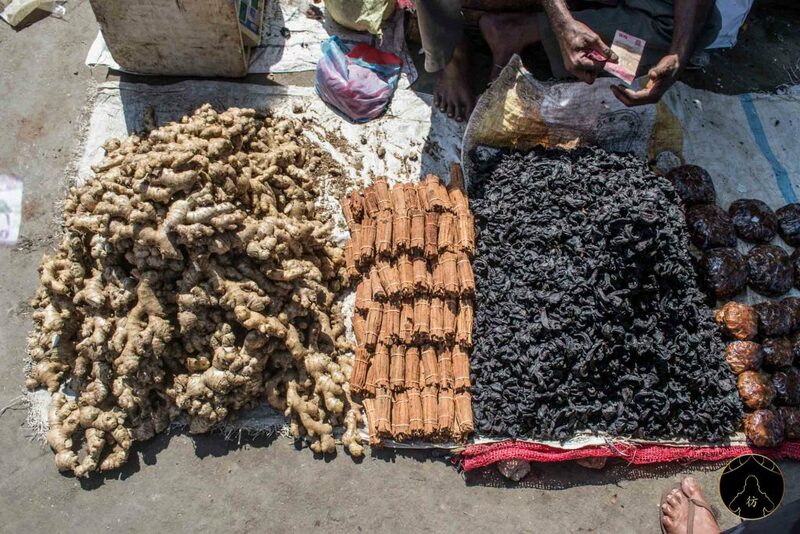 Some are sold at the market but the smaller ones are sun-dried on the spot. 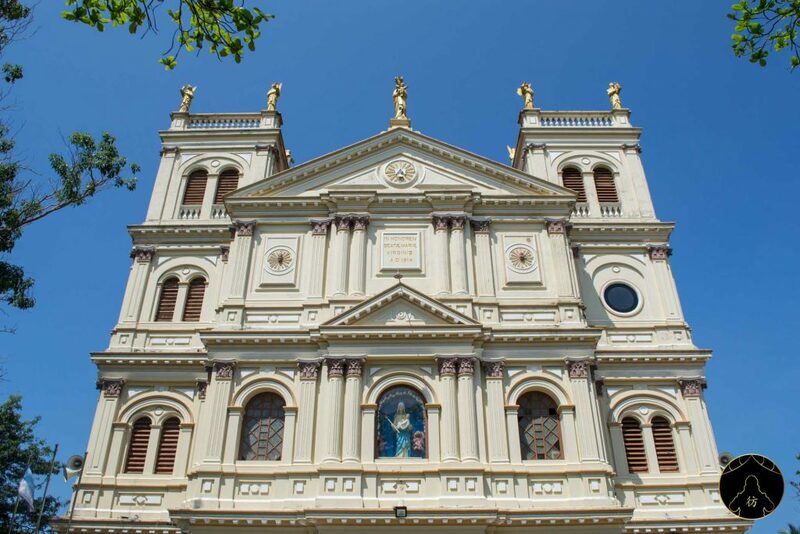 As you may know, Sri Lanka is a multi-faith country, and Catholicism is one of the many religions practiced there. 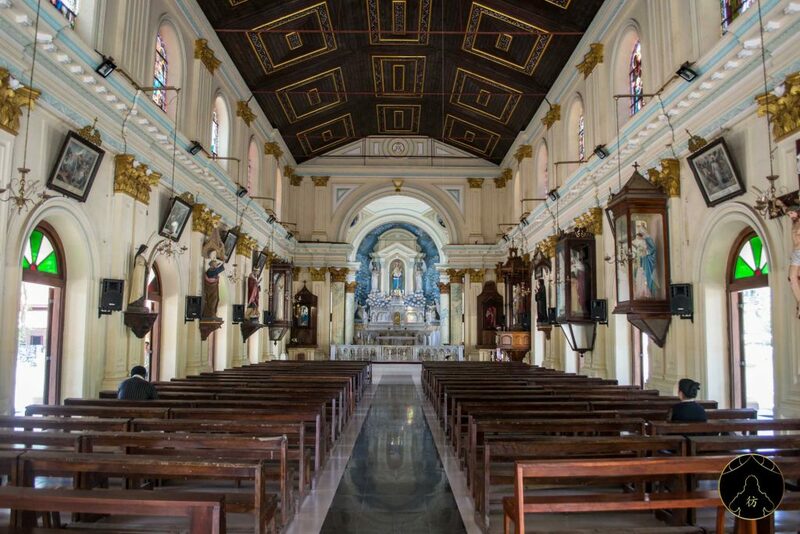 Catholics make up about 7% of the total Sri Lankan population, so there are many churches all over the country. 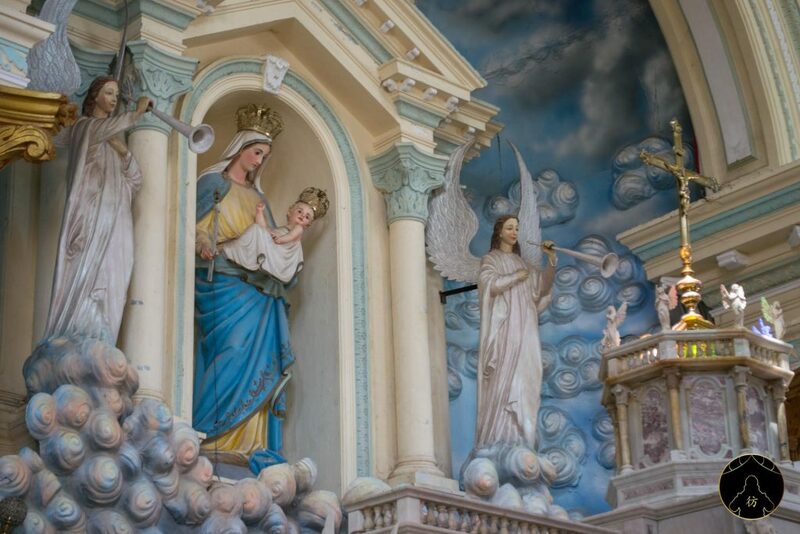 One of the most beautiful churches I really recommend you visit in Negombo is Saint Mary’s Church, located not too far from the market. 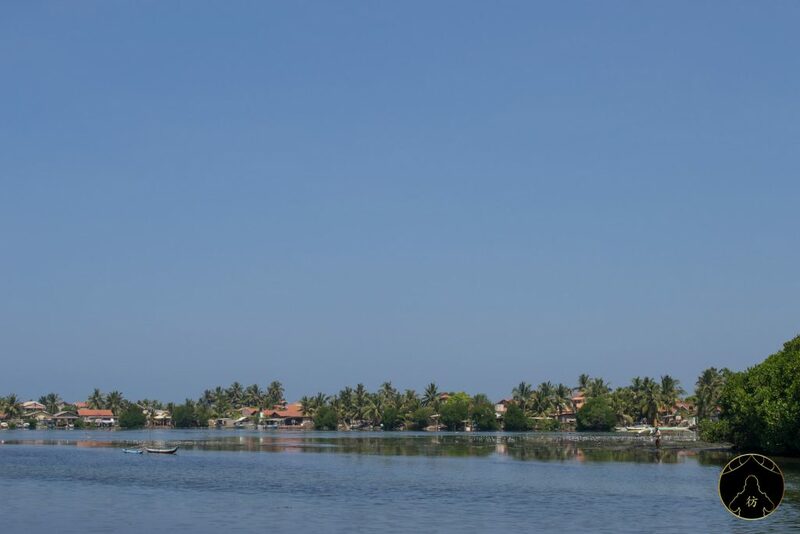 As you have probably seen on the map above, there is a huge lagoon south of the city of Negombo. The landscapes are beautiful and the wildlife is rich, with birds and fish of all kinds. There are fishermen who would love to take you on a boat trip around the lagoon! You can book this tour at your hotel, or at an on-site agency, or book it online. Are you ready to enter the demon’s lair? 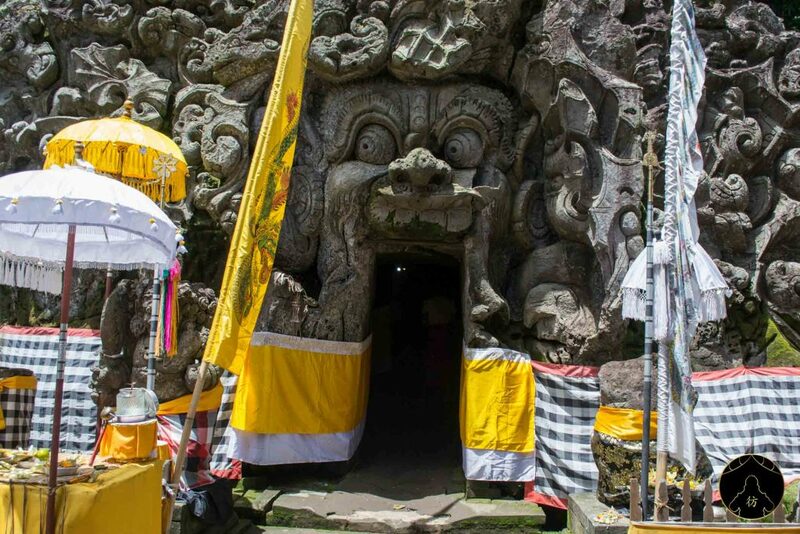 The entrance is very impressive and reminds me of the entrance to the Elephant Caves of the Goa Goja temple in Ubud, Bali. Very similar, right? This resemblance shouldn’t be surprising actually, because this demon represents Kala, one of the important characters of Hindu mythology. He is the god of time and is also associated with destruction and death. This is not necessarily a negative aspect in Hinduism because life is made of cycles and there is no real end. That’s the reincarnation principle, broadly put. There are also many representations of Kala in the temples of Bagan, Myanmar, or in the Angkor temples in Siem Reap, Cambodia. If that’s the case, what’s this beautiful 6-meter high Buddha statue doing in a Hindu temple, you say? It is quite common to mix religious references, and so mixing Buddhism with Hinduism, Taoism (China) or Shintoism (Japan) is not an issue in Asia. While visiting the Angurukaramulla temple, don’t forget to go inside the buildings, especially inside the pagoda on the right of the main temple. 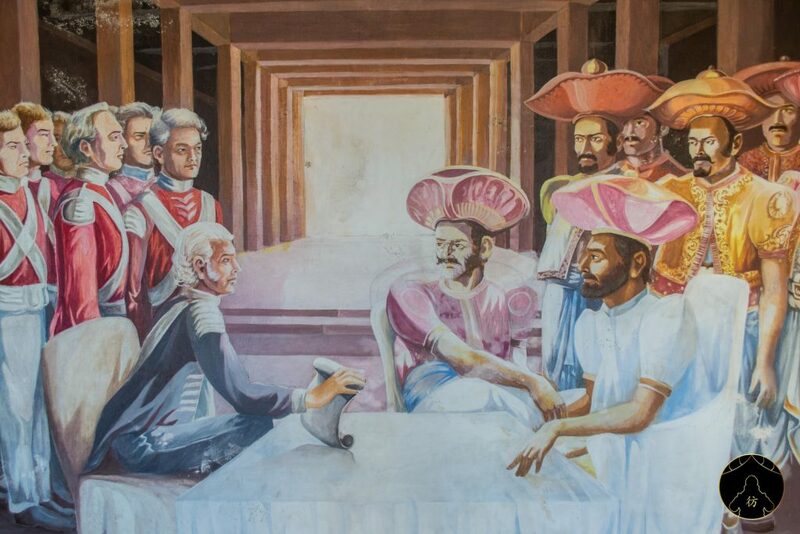 You will find mural paintings there that illustrate scenes from the English colonization period. You will also find another pagoda upstairs which is quite surprising, to be honest. Outstanding structure! Our visit to Negombo, Sri Lanka ends here! Nice city, don’t you think? As always, feel free to ask me questions in the comment section below. I’ll make sure to answer as soon as I can! Don’t miss out on my other adventures in Asia, join me on social media on Facebook, Instagram and Pinterest. Cheers for the travel tips!